There is no doubt that wedding events are considered to be special for every single about apart from it is regarded to be unforgettable for the bride. Each single bride wants to adorn herself with stunning wedding dress and for that reason she starts dreaming for her bridal dress quite a long time before the arrival of the wedding. There are many designers that have been always put forward magnificent dresses for the brides and when we mention the name of such brands then we never forget to talk about the Maharani. 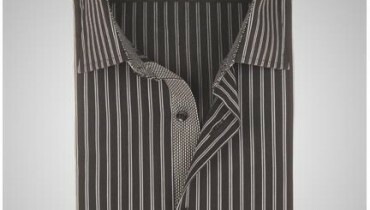 This brand is counted amongst the renowned and distinguished brands in Indian fashion industry. They have always highlighted something fresh and out of ordinary for the brides and that’s the major factor that made this brand so popular and known all over the world. 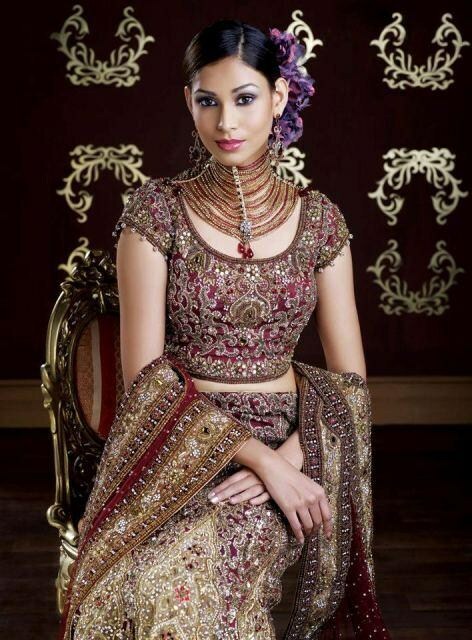 Freshly, Maharani launched their exclusive and hottest wedding wear collection 2012 for women. They have designed the whole bridal wear collection is awesomely splendid and gorgeous manner that definitely turns down the dream of every single bride into reality. The whole Maharani wedding wear collection 2012 spins around the appearance of long shirts, lehenga cholis, sharara, gharara and bridal frocks. 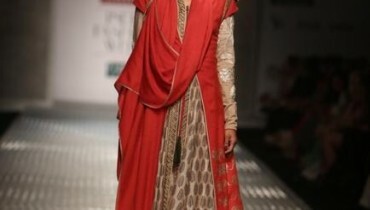 In this article we are sharing few pictures of Maharani wedding wear collection 2012. Additionally, the colors worn in the collection have been kept as red and purple that symbolizes the elegance and grace of the bride. Moreover, the collection has been intended further captivating by the addition of embroidery and stone work on the shirts and lehengas. As regard being the famous and that too the Indian Brand so it is quite obvious that the rates are also costly and expensive but the material and texture work on the dresses have certainly defeated down the prices. So all the women and forthcoming brides if you love the Maharani bridal dresses then don’t forget to mention the Maharani wedding wear collection 2012 in your shopping list as we are sure that you will fall in forever love with the collection.